Champaign, Ill., 8/1/18: The statewide average temperature in July was 75.1 degrees, just 0.3 degrees below normal, according to Illinois State Climatologist Jim Angel of the Illinois State Water Survey at the University of Illinois. Temperatures reached into the upper 90s at several locations in the first half of the month. One of the warmest readings was 99 degrees at Flora on July 5. A few stations dropped down into the upper 40s at night. Four locations reported a low of 48 degrees: Mt. Carroll on July 7, Stockton on July 13, Shabbona on July 28, and Avon on July 31. The hot weather of May and June continued in the first week of July but quickly cooled by July 6. 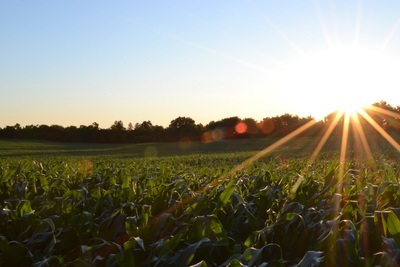 These conditions were followed by alternating periods of cooler and warmer weather until July 18 when temperatures remained at or below normal. The statewide average rainfall was 3.41 inches, 0.67 inches below normal. A few areas experienced above-normal rainfall, especially between Interstates 70 and 72. Most of the rest of the state was down by 1 to 2 inches. The largest monthly precipitation total for July was 8.28 inches at Beecher, IL. Several stations reported less than 1 inch of rain for the month, including northern Cook and Lake counties. The lowest monthly total for July was 0.59 inches at Park Ridge. For the 2018 January–July period, the statewide average temperature was 51.5 degrees, 0.1 degree below normal. The extreme months of April (second coldest) and May (warmest on record) basically canceled each other out. The statewide average precipitation was 25.80 inches, 2.04 inches above normal. The outlook for August from the National Weather Service shows Illinois with equal chances of above, below, and near-normal precipitation and temperatures. In other words, no climate factors exist to increase our risk of being too hot, too cool, too wet, or too dry.